Students will stay with host families or on-site dormitory housing. Contact this year’s EASB Facilitators at easb.facilitators@gmail.com. Want to do something meaningful with your Spring Break? Join Environmental Alternative Spring Break! Apply for Pipeline Project’s 2019 Environmental Alternative Spring Break (EASB) program! 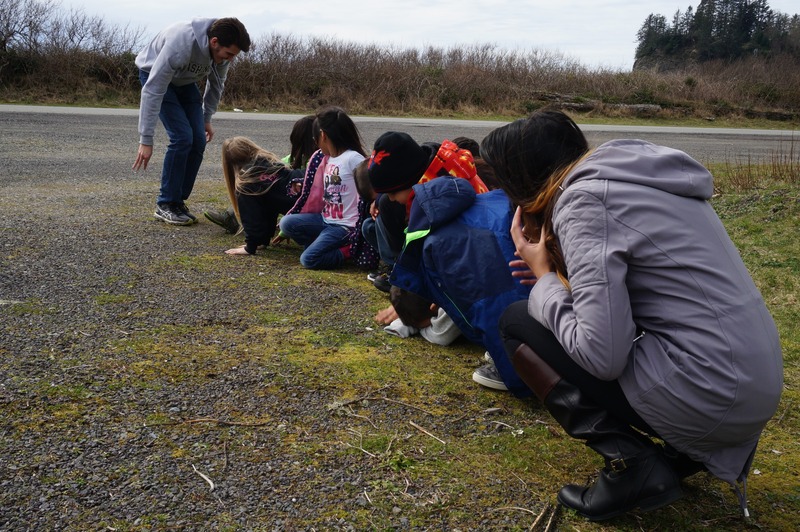 The UW Pipeline Project provides opportunities for undergraduates to spend their spring break connecting with students in rural or tribal communities throughout Washington State. Environmental Alternative Spring Break (EASB) provides the unique opportunity for UW students to plan and design their own curriculum related to environmental or earth science in partnership with NASA during winter quarter. In addition to teaching, EASB emphasizes the importance of deepening community relationships across Washington State. Each team seeks out ways to get involved in the community during their week of teaching. As part of the preparation, you will enroll in a 3 credit seminar during winter quarter to develop teaching skills, work on lesson plans, and explore topics regarding equity in education. Additionally, participants are encouraged to gain experience volunteering in local classrooms or environmental organizations for 2-3 hours per week for an additional 1-2 credits. Make the most of your break by extending your own learning, sparking an interest in science and the environment, and making a lasting impact on students’ lives. To see more information on sites, reflections from past participants, and photos please visit our blog! If you have any remaining questions, please contact the EASB Facilitators at easb.facilitators@gmail.com.